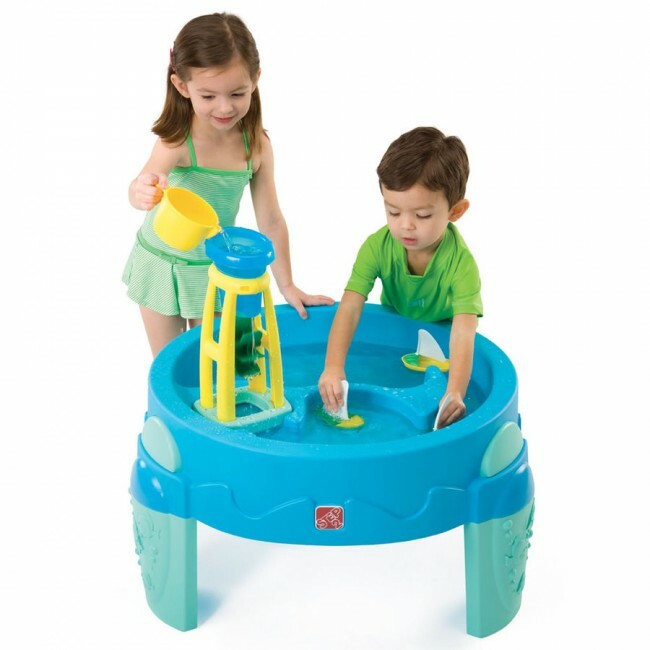 Cool off and enjoy this summer with this Step2 Water Wheel Play Table. 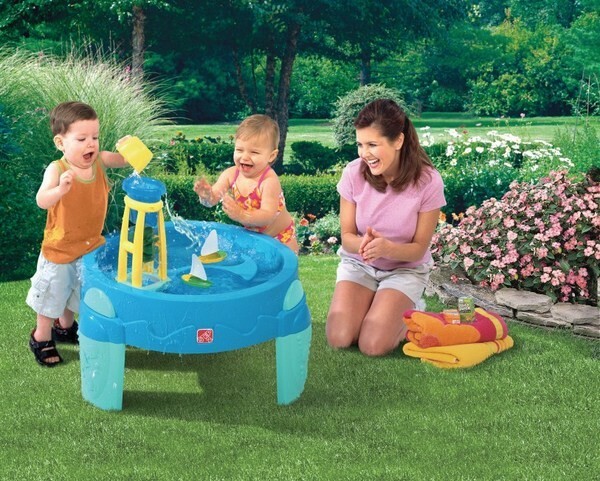 Falling water action will provide kids with hours of outdoor fun! 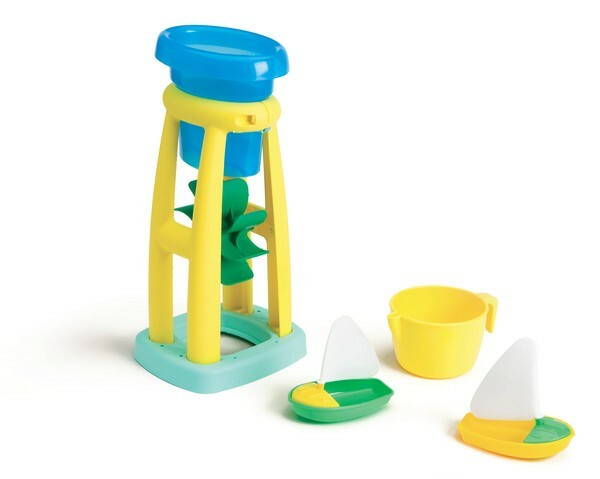 Water pours through funnel to activate wheel which spills water into inner and upper harbors. Made in USA of US and imported parts. Boats, cup and waterwheel made in China. Elevated height puts play area at toddler arms' reach and reduces muddy water "issues"
Rated for children with special needs!